TOL 2018 Program Guide! ::A Family Friendly Day of Great Food and Activities::Sickle Cell Disease Awareness and St. Jude Children's Hospital Fundraiser::FREE Admission With Confirmed Tix!!! Get Social With Taste of Liberia! -Fun and Activities for the entire family…ALL ARE WELCOME! PLEASE CLICK HERE AND JOIN US IN A FUNDRAISER FOR ST JUDE CHILDREN’S RESEARCH HOSPITAL AND THE FIGHT AGAINST SICKLE CELL DISEASE!!! Please Note: Taste of Liberia 2018 will be selling tickets for food and will be unable to accept cash. All forms of card payments (Debit, Credit, Apple Pay, Samsung Pay, etc...) will be accepted. 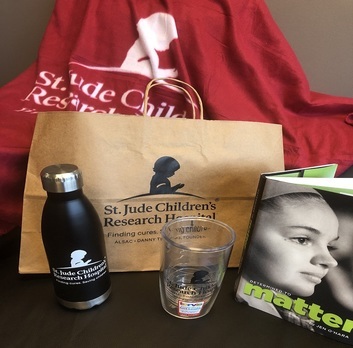 Check out the St. Jude Prize Pack!!! We have raised $115 so far towards our $5,000 goal. I know we can do better then that. The ONLY way to beat sickle cell disease and other devasting kids' diseases is to fund the expert researchers and doctors at St. Jude Children's Hospital. They have the experience, the know how, and passion to cure these diseases...but it's going to require ALL of us doing our part! So, we here at Taste of Liberia are going to do our part to get the ball rolling. Get a team together or go it alone, as long as the goal is to reach or exceed our $5,000 goal it's ALL good! NEXTAINMENT, LLC is the producer of TASTE OF LIBERIA™. We look forward to working with all our stakeholders, our sponsors, local city and state government agencies, community organizations, and the general public to make TASTE OF LIBERIA™ a very unique and worthwhile educational and cultural journey in the United States and beyond.